Headaches and migraines are a chronic issue for many people in Denver. This head pain can be very debilitating and affect the daily life of those who suffer from these headaches and migraines. Chiropractic care has been shown in recent research to help relieve headache and migraine pain in patients. 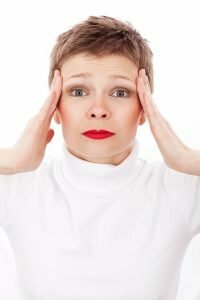 At our Denver chiropractic clinic, we offer specific treatment for headache and migraine conditions to reduce intensity and duration of headaches through a variety of techniques. There are many different types of headaches and migraines that occur from a variety of different triggers, some of which may be unknown. It is important to understand, if possible, what may be triggering your headache or migraine. A comprehensive exam by a chiropractor can evaluate what type of headache is being produced and the proper treatment or referral needed to reduce the pain. How Does a Chiropractor Help Headaches and Migraines? Our Denver chiropractic clinic offers a variety of different treatments and techniques based on the type of headache affecting the patient. It is important to perform a comprehensive exam to distinguish between the types. Spinal manipulation is the most common treatment, that can be performed a variety of different ways to improve spinal function and reduce tension in the neck and at the base of the skull. This is commonly coupled with at-home care that the patient needs to perform which can be lifestyle modification, dietary changes, or a headache diary. Massage and muscle release techniques can be performed as well.